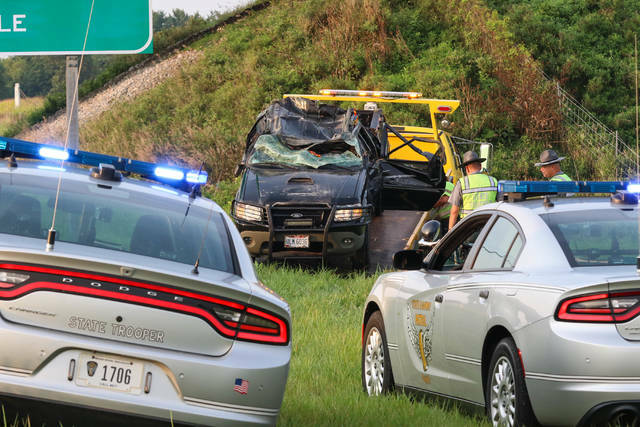 Ohio State Highway Patrol arrived on scene of a single car rollover accident on the southbound lanes of Interstate 75 before exit 110 on Monday morning. LIMA — An unidentified person was transported to Lima Memorial Health System with minor injuries after their vehicle rolled over at approximately 6:46 a.m. Monday in the southbound lane of Interstate 75 at mile marker 112, according to the Ohio State Highway Patrol. The accident is still under investigation. More information will be provided as it becomes available.